Dipak Kumar Mitra is a physician by training and obtained his PhD in epidemiology from the Johns Hopkins Bloomberg School of Public Health, USA and MPH from Harvard School of Public Health, USA. 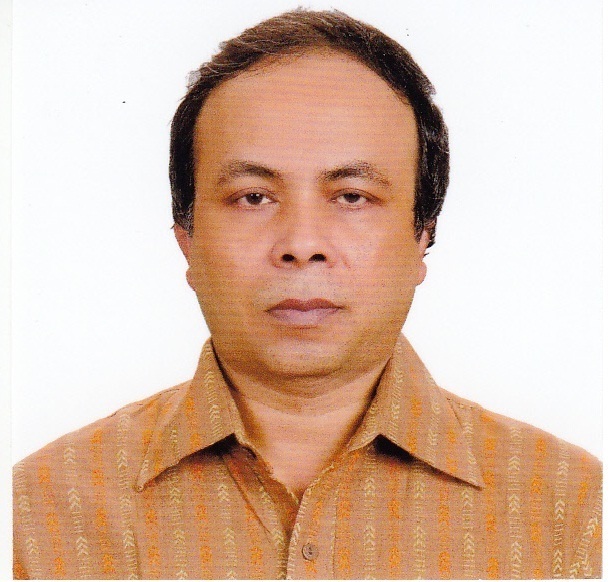 He worked in the International Centre for Diarrheal Disease Research, Bangladesh (icddr,b) from 1994 to 2012 and participated in several research grants as Principal Investigator and Co-Investigator. He then joined the Johns Hopkins Bloomberg School of Public Health as an Assistant Scientist and worked from 2012 to 2015. He led a number of large community-based epidemiological studies and trials as the local Principal Investigator jointly designed and implemented by the Johns Hopkins School of Public Health and the icddr,b and funded by NIH, BMGF and USAID. Currently He is a Professor and chair in the Department of Public Health in North South University. Dr. Mitra has published extensively in high-impact journals. His expertise includes design and maintenance of research surveillance site, design clinical trial and epidemiological studies, data analysis using advanced analytical techniques. He is currently leading academic and research collaborations of North South University with Johns Hopkins University, USA and University of Cambridge, UK. His research interests are maternal, neonatal and child health and non-communicable diseases in developing countries including Bangladesh. Particularly his focus is on scaling up evidence-based low-cost interventions at the community level within existing health systems and measuring their impact. Lee, A. C., L. C. Mullany, M. Quaiyum, D. K. Mitra, A. Labrique, P. Christian, P. Ahmed, J. Uddin, I. Rafiqullah, S. DasGupta, M. Rahman, E. H. Koumans, S. Ahmed, S. K. Saha, A. H. Baqui and B. Projahnmo Study Group in Bangladesh (2019). "Effect of population-based antenatal screening and treatment of genitourinary tract infections on birth outcomes in Sylhet, Bangladesh (MIST): a cluster-randomised clinical trial." Lancet Glob Health 7(1): e148-e159. Alliance for, Maternal Newborn Health Improvement mortality study, group (2018). "Population-based rates, timing, and causes of maternal deaths, stillbirths, and neonatal deaths in south Asia and sub-Saharan Africa: a multi-country prospective cohort study." Lancet Glob Health 6(12): e1297-e1308. Khanam, F., B. Hossain, S. K. Mistry, D. K. Mitra, W. A. Raza, M. Rifat, K. Afsana and M. Rahman (2018). "The association between daily 500 mg calcium supplementation and lower pregnancy-induced hypertension risk in Bangladesh." BMC Pregnancy Childbirth 18(1): 406. Saha, S. K., S. J. Schrag, S. El Arifeen, L. C. Mullany, M. Shahidul Islam, N. Shang, S. A. Qazi, A. K. M. Zaidi, Z. A. Bhutta, A. Bose, P. Panigrahi, S. B. Soofi, N. E. Connor, Mitra, D. K., R. Isaac, J. M. Winchell, M. L. Arvay, M. Islam, Y. Shafiq, I. Nisar, B. Baloch, F. Kabir, M. Ali, M. H. Diaz, R. Satpathy, P. Nanda, B. K. Padhi, S. Parida, A. Hotwani, M. Hasanuzzaman, S. Ahmed, M. Belal Hossain, S. Ariff, I. Ahmed, S. M. Ibne Moin, A. Mahmud, J. L. Waller, I. Rafiqullah, M. A. Quaiyum, N. Begum, V. Balaji, J. Halen, A. S. M. Nawshad Uddin Ahmed, M. W. Weber, D. H. Hamer, P. L. Hibberd, Q. Sadeq-Ur Rahman, V. R. Mogan, T. Hossain, L. McGee, S. Anandan, A. Liu, K. Panigrahi, A. M. Abraham and A. H. Baqui (2018). "Causes and incidence of community-acquired serious infections among young children in south Asia (ANISA): an observational cohort study." Lancet 392(10142): 145-159. Khanam, R., A. C. Lee, Mitra, D. K., M. Ram, S. Das Gupta, A. Quaiyum, A. Choudhury, P. Christian, L. C. Mullany and A. H. Baqui (2018). "Maternal short stature and under-weight status are independent risk factors for preterm birth and small for gestational age in rural Bangladesh." Eur J Clin Nutr. Baqui, A. H., E. D. McCollum, S. K. Saha, A. K. Roy, N. H. Chowdhury, M. Harrison, A. A. M. Hanif, N. Simmons, A. Mahmud, N. Begum, S. Ahmed, A. M. Khan, Z. B. Ahmed, M. Islam, Mitra, D. K., A. Quaiyum, M. A. Chavez, F. Pervaiz, C. H. Miele, H. B. Schuh, R. Khanam, W. Checkley, L. H. Moulton and M. Santosham (2018). "Pneumococcal Conjugate Vaccine impact assessment in Bangladesh." Gates Open Res 2: 21. Mitra, D. K., Mistry, S. K., Afsana, K., & Rahman, M. (2018a). Demographic, socio-economic and lifestyle determinants of under-and over-nutrition among Bangladeshi adult population: Results from a large cross-sectional study. Journal of Epidemiology and Global Health. (In press). Mitra, D. K., Mullany, L. C., Harrison, M., Mannan, I., Shah, R., Begum, N., Moin, M. I., El Arifeen, S., Baqui, A. H., Projahnmo Study Group in, Bangladesh. (2018). Incidence and risk factors of neonatal infections in a rural Bangladeshi population: a community-based prospective study. J Health Popul Nutr, 37(1), 6. Yunus, F. M., Khan, S., Mitra, D. K., Mistry, S. K., Afsana, K., & Rahman, M. (2017). Relationship of sleep pattern and snoring with chronic disease: findings from a nationwide population-based survey. Sleep Health: Journal of the National Sleep Foundation. Aziz, S., Mitra, D. K., & Rahman, M. O. (2017). Identifying Factors Associated With Low Maternal Health Care Seeking Behavior in Bangladesh: Does Women's Autonomy Matter? Women's Reproductive Health, 4(2), 115-125. Mitra, D. K., Mahmud, A., Begum, N., Rafiqullah, I., Roy, A., Moin, S. M., Islam, M., Quaiyum, M. A., Ferdous, J., Applegate, J. A., Saha, S. K. & Baqui, A. H. (2016). Implementation of the ANISA Protocol in Sylhet, Bangladesh: Challenges and Solutions. Pediatr Infect Dis J, 35, S55-9. Islam, M. S., Baqui, A. H., Zaidi, A. K., Bhutta, Z. A., Panigrahi, P., Bose, A., Soofi, S. B., Kazi, A. M., Mitra, D. K. & ISAAC, R. (2016). Infection Surveillance Protocol for a Multicountry Population-based Study in South Asia to Determine the Incidence, Etiology and Risk Factors for Infections Among Young Infants of 0 to 59 Days Old. The Pediatric Infectious Disease Journal, 35, S9-S15. Mahumud, R. A., Sultana, M., Sheikh, N., Ali, M. N., Mitra, D. K., & Sarker, A. R. (2016). Diagnostic Errors in Low and Middle-Income Countries: Future Health and Economic Burden for Patient Safety. Austin Emerg Med. Ladhani K, Lee A, Quaiyum M, Mullany L, Mitra DK, Labrique A, Christian P, Ahmed P, Rafiqullah I, Saha S. (2015) Prevalence and symptoms of abnormal vaginal flora in rural sylhet, Bangladesh. Annals of Global Health; 81(1): 94-5. Baqui, A. H., S. K. Saha, A. S. Ahmed, M. Shahidullah, I. Quasem, D. E. Roth, A. K. Samsuzzaman, W. Ahmed, S. M. Tabib, K. Mitra, N. Begum, M. Islam, A. Mahmud, M. H. Rahman, M. I. Moin, L. C. Mullany, S. Cousens, S. El Arifeen, S. Wall, N. Brandes, M. Santosham, R. E. Black and B. Projahnmo Study Group in (2015). "Safety and efficacy of alternative antibiotic regimens compared with 7 day injectable procaine benzylpenicillin and gentamicin for outpatient treatment of neonates and young infants with clinical signs of severe infection when referral is not possible: a randomised, open-label, equivalence trial." Lancet Glob Health 3(5): e279-287. Seale, A. C., Blencowe, H., Manu, A. A., Nair, H., Bahl, R., Qazi, S. A., et al. (2014). Estimates of possible severe bacterial infection in neonates in sub-Saharan Africa, south Asia, and Latin America for 2012: a systematic review and meta-analysis. Lancet Infect Dis, 14(8), 731-741. Baqui, A. H., Saha, S. K., Ahmed, A. S., Shahidullah, M., Quasem, I., Roth, D. E., Williams, E. K., Mitra, DK., Shamsuzzaman, A. K., Ahmed, W., Mullany, L. C., Cousens, S., Wall, S., Brandes, N. & Black, R. E. (2013). Safety And Efficacy Of Simplified Antibiotic Regimens For Outpatient Treatment Of Serious Infection In Neonates And Young Infants 0-59 Days Of Age In Bangladesh: Design Of A Randomized Controlled Trial. Pediatr Infect Dis J, 32, S12-8. Shah, R. , Mullany, L. C., Darmstadt, G. L., Mannan, I., Rahman, S. M., Talukder, R. R., Applegate, J. A., Begum, N., Mitra, DK., Arifeen, S. E., Baqui, A. H., Proj, AHNMo Study Group in Bangladesh (2014) Incidence and risk factors of preterm birth in a rural Bangladeshi cohort. BMC Pediatr. 14:112. His research interests are maternal, neonatal and child health and non-communicable diseases in developing countries including Bangladesh. Particularly his focus is on scaling up evidence-based low-cost interventions at the community level within existing health systems and measuring their impact.